Contains soybeans and products of these. 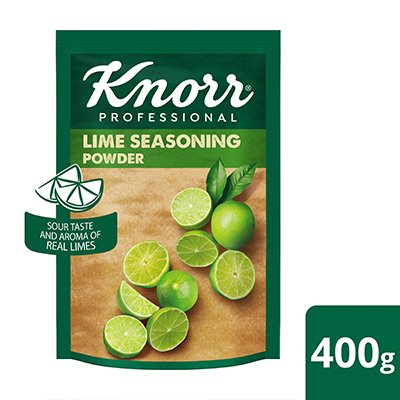 Knorr Lime Seasoning Powder is a versatile seasoning with the refreshing taste of lime, perfect for many food and beverage applications. The real sour taste and aroma of limes all year around. Knorr Lime Seasoning Powder is a fantastic flavour for your lemonade and salads. Try making a glaze for your desserts or in your shakes for a citrus taste your guests will rave about.